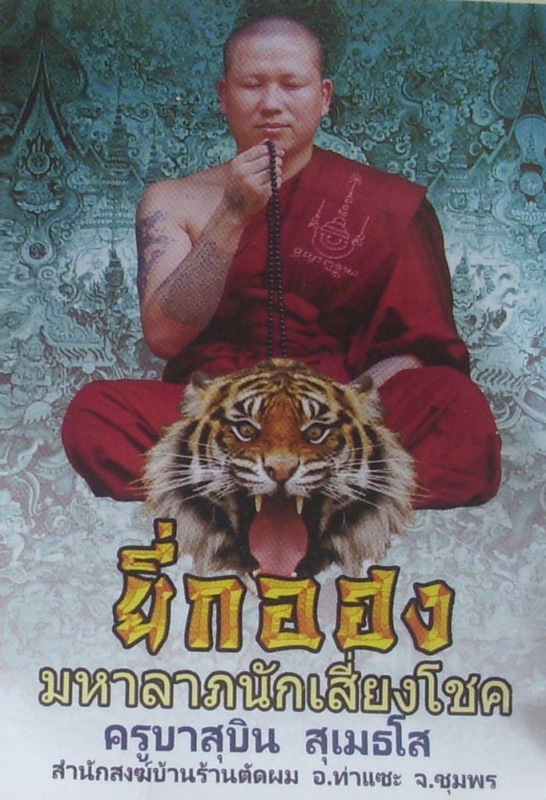 Kroo Ba Subin Sumetaso is a Master with Wicha Metta Maha Sanaeh of the Lanna Lineage He is the carrier of the Wicha Serm Sirimonkgol Gao Jut (nine pointed blessing), which he recieved from Kroo Ba Duang Tittawaro of Wat Witraymul. 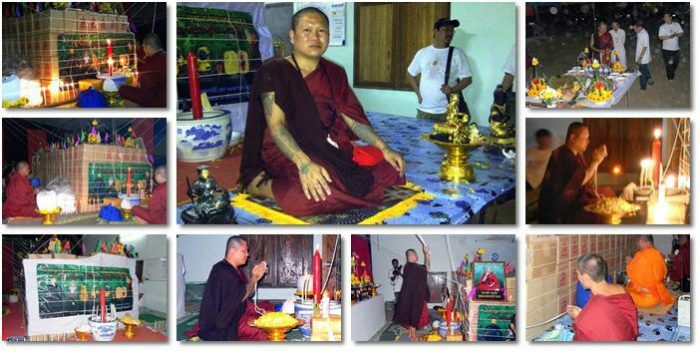 Kroo Ba Subin also possesses the Wicha of Sado Kro from Kroo Ba In Gaew of Wat Walugaram.because Kroo Ba Subin has a lot of Natural Ciuriosity and is a learned person, he went on Tudong, traveling around to find various Wicha from different Masters in different areas of Thailand. Amongst some of the Wicha he found and Mastered were Wicha Sariga, the Yant Gao Yord tattoo, calling the Sariga Koo Cheewit (lifelong lucky charm). The list of Wicha which he has mastered is a long one. Kroo Ba Subin’s Yee Gor Hong Amulets have become legendary and extremely popular with Asian Gamblers all aruond South East Asia. 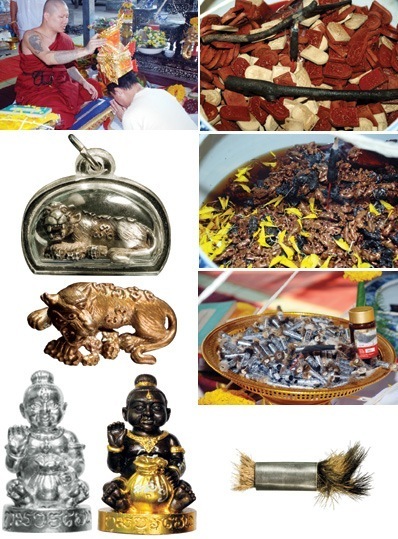 In Addition he has made Gumarn Tong Buchas and amulets, and a Shiva – Ganesh amulet which have all enjoyed success. Some amulets, such as the Shiva Ganesh amulet from 2553 BE, were only made in small numbers (2000) and so became rather rare pretty quickly. 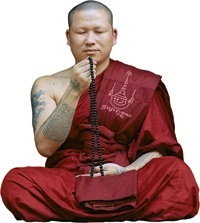 Kroo Ba Subin disrobed sometime around 2558 BE, and is now practicing as a Lay Master, who is very popular around South East Asia. he has branch offices around South East Asia where he visits to perform Blessings, Sak Yant Thai Temple Tattoos, and distribute amulets.